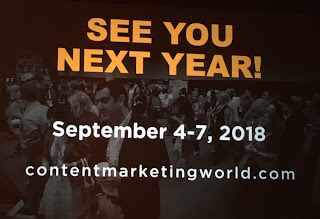 Hello, content marketers! It’s that time of year! 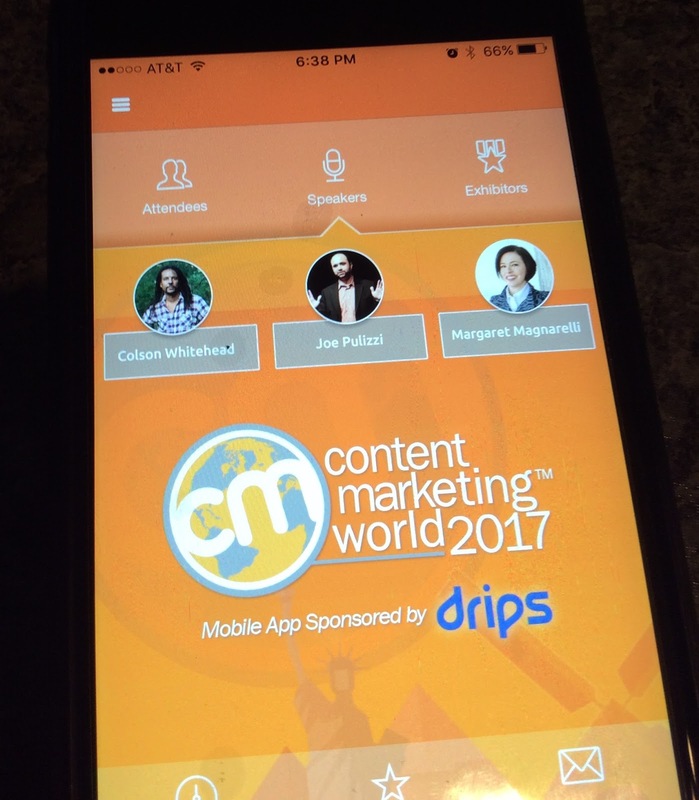 Content Marketing World is invading downtown Cleveland! Welcome to everyone visiting from out of town. 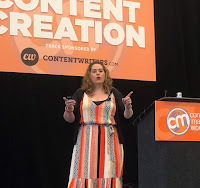 I wrote a guest post for Content Marketing World last year, Content Marketing Advice: Always Jump Where Your Friends Are. I wrote about the benefits of face-to-face interactions and networking. As always, I’d love to meet you, so feel free to come right up and introduce yourself (if I don’t come up to you first). Also, as always, I'll also be posting quite a bit on social media. Whether you're not able to make it and want to follow along or if you're there and want to see what's going on in other sessions, I want to make it easy for you to follow me. My schedule is below so you can see what sessions I'm in and will be posting about and the times. If you're at the conference, please come up and say hi or send me messages. Also, I'm from Cleveland, so if you have any questions about the city or need any recommendations for places to go, I'm happy to help. The schedule is subject to change. You never know when an opportunity may present itself! Thanks for following me and I hope you find the information I share to be valuable. As always, you can also check out my blog, Taking it Back (www.jeremybednarski.com). I'll have a recap post of my experience at Content Marketing World a few days after the event. In the weeks leading up to Bon Jovi being inducted into the Rock and Roll Hall of Fame, they continue to make news. They announced a spring set of concert dates and a re-released their latest CD, This House Is Not for Sale with two new songs. Concert ticket purchases included a code for a free CD or download of the album. This value-added promotion (a popular trend by artists since 2004) shot the album to #1 on the Billboard album charts with 120,000 sales. This was 15 months since it originally debuted at #1 (with a similar ticket bundling promotion)…setting a record for the longest gap between stints at #1. The following week, Bon Jovi set another record as the CD plummeted to #168 becoming the biggest drop in chart history with only 5000 sales. Who did they beat for this dubious honor? Themselves. They set the record for the biggest drop after their first chart-topping week as well. Even with the slide in sales the second week of both of these promotions, marketers can learn some things from the bands' approach to this bundled offer. Value-added offers or bundling can be very effective promotions for companies. 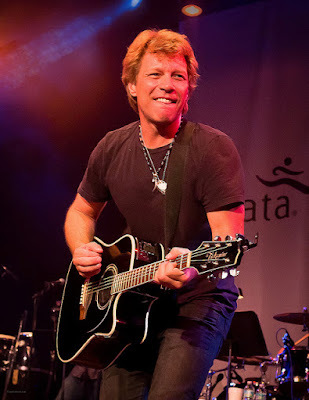 In the case of Bon Jovi and other bands, there are several aspects that make their offers especially appealing. Bundling a band’s new CD with a ticket purchase is truly beneficial for both the fan and the band. A band like Bon Jovi is going to sell the concert tickets either way. What most rock bands struggle with these days is CD sales (or digital download purchases). When offered as part of the purchase, a lot more fans are exposed to the new music. Marketers looking to create their own value-added offer need to make sure they’re offering something that buyers will value AND can help drive the company’s business goals. Don’t just throw in the crappy tchotchkes you have lying around. Things like gift cards with purchase offer value to your customers, but it doesn’t necessarily bring more value to you. How you word the offer is important to how customers may perceive the value of the additional item. In the case of Bon Jovi, the CD is “included” in the price of the ticket. Stay away from wording like “free with purchase.” Either way, they’re paying the same price, but consumers tend to value something they know they’re paying for more than a free item. Therefore, they’re more likely to redeem the offer for the CD (and listen to it) because, in their mind, they already paid for it. Words like “bundle,” “package” or “value-added” imply that part of the cost is going to the additional item even if there is no option to pay a lower price without the CD. Third party verifications or endorsements are very effective tools for selling. In this case, Bon Jovi returning to the top of the Billboard charts gave them additional publicity they wouldn’t have gotten without the offer. People that are on the fence about buying the CD might be persuaded when seeing that it hit #1. Even the news of its record-setting drop the following week can serve as a reminder to fans to go purchase the CD. In addition, the influx of sales offers more opportunity for fans to comment on the CD on social media and other platforms that can spur additional sales. Marketers need to include these promotional tools to help further the message and encourage their customers to engage with them on social media. Ask your customers what they think of your value-added item. Help spur conversations that extend the reach of the offer. Not only does offering the CD help spur sales, it helps fans experience the new music. The longstanding joke with rock concerts is that playing the new song(s) is a cue for fans to head to the beer line or go to the bathroom. If bands can get the CD to fans to listen to before the concert, they might stick around when they play the new songs. Especially in the case of Bon Jovi, who are diving heavily into the new CD on this tour, getting fans familiar with the new music is going to directly affect how much they enjoy the concert. This is also the first CD and full tour without guitarist Richie Sambora, so there may be fans who are apprehensive about what they might be getting with both the concert and CD. Overall, as the big concert ticket prices continue to be in the $150 range, adding a CD to the purchase offers more value to fans. Especially if it’s a CD they would buy anyway, and if it’s good (if you want my thoughts on Bon Jovi’s This House Is Not for Sale, read my review for Decibel Geek), fans will feel like they’re getting more for their money. What are your thoughts on value-added offers…whether it’s for concert and CD or any purchase? What are some other win-win examples that you’ve seen? Share it in the comments below. As always, thanks for reading. If you enjoy this post, please share it on social media. A few Fridays ago, I woke up excited. Why? Because the new Foo Fighters CD was coming out that day. I couldn’t wait to buy it. It’s the same excitement I’ll feel when I get to see them in concert (and they better not skip Cleveland this tour!). Being a huge rock music and Foo Fighters fan, these are the types of things that I anticipate. You may have a different band you follow. Or maybe you’ll be first in line for the new iPhone or next Star Wars movie. Whatever it is, we all have certain brands that we’re fanatic about. How do rock bands (or other brands) get to the point of having fans that are this passionate about the content or products they release? They create them. They build their audience by making content (music). They’ve been doing it forever. Their able to monetize their audiences in different ways…CDs, downloads, concerts, fan clubs, VIP packages, etc. Now, marketing is finally catching on…or catching up. The power of building and monetizing your audience has always been a theme of content marketing, but it had an even bigger focus at this year’s Content Marketing World in Cleveland. It’s also the basis for the new book Killing Marketing by Joe Pulizzi and Robert Rose (you can get more information about the book itself here). What if there’s more? 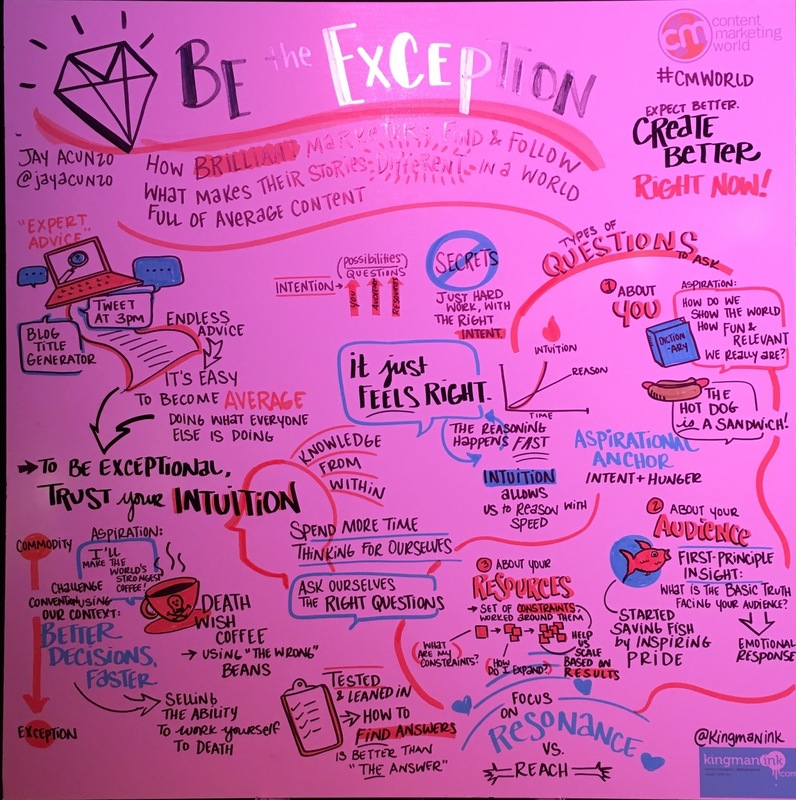 What if there are opportunities with our marketing that we can’t see because of what we think we know? Pulizzi gave the example of George Lucas giving up an extra $1 million to direct Star Wars to secure the merchandising rights. 20th Century Fox couldn’t see beyond ticket sales as a way for movies to make money. As of 2015, Star Wars merchandise has brought in $12 billion vs. $5 billion in ticket sales. The key is for companies to build and develop their audiences by creating remarkable and relevant content. Then, find multiple ways to monetize your audience. Robert Rose’s presentation included how to begin to calculate a value of your audience. The main point of both of their presentations and the book is that the marketing department can be a profit center for companies. To get there, we need to kill the marketing we know to discover a new model. Content marketing is what will lead brands to develop their audiences. In fact, according to the latest research conducted by Content Marketing Institute and MarketingProfs, 90% of marketers who feel their content marketing is effective focus on building their audience. But, more content is being produced than ever before. 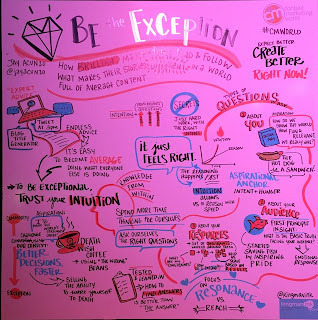 With so much content available, how do you stand out to be able to build your audience? Many of the subsequent sessions helped to answer that question. The following summarize some of the main themes to help your content stand out. 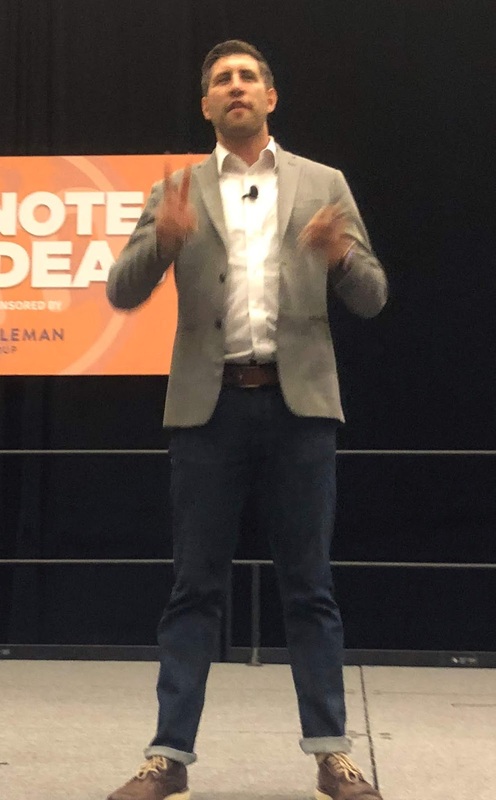 Jay Acunzo talked about ways to make your content stand out. Many marketers are looking for answers from influencers or best practices from successful companies. But, best practices are what worked yesterday. 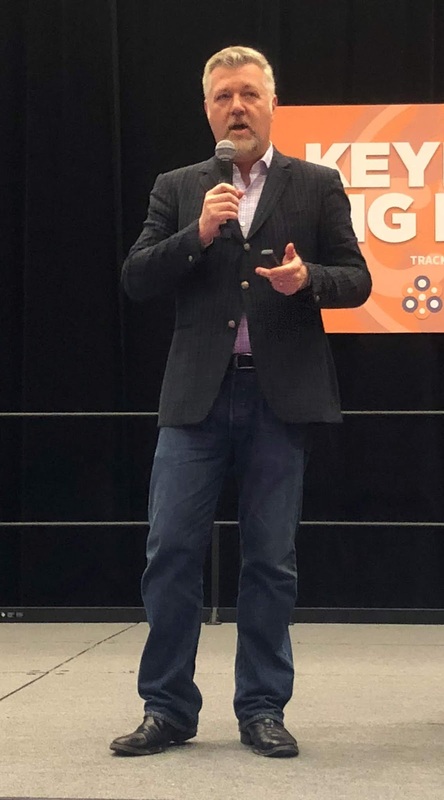 He explained that when you tell a group of marketers that that 3pm on Tuesday is the best time to publish social media posts, that time is no longer the best time to publish your posts. Instead of looking to others for answers, we need to be willing to create our own answers. Create our own best practices. This is how you stand out from being average or publishing the same content everyone else is publishing. Doug Kessler explained that there are strong, invisible conventions in marketing. We may not realize we’re following them, but consumers recognize them. Once they recognize them, their internal barriers go up. It’s our job to recognize the barriers and break them when we can. 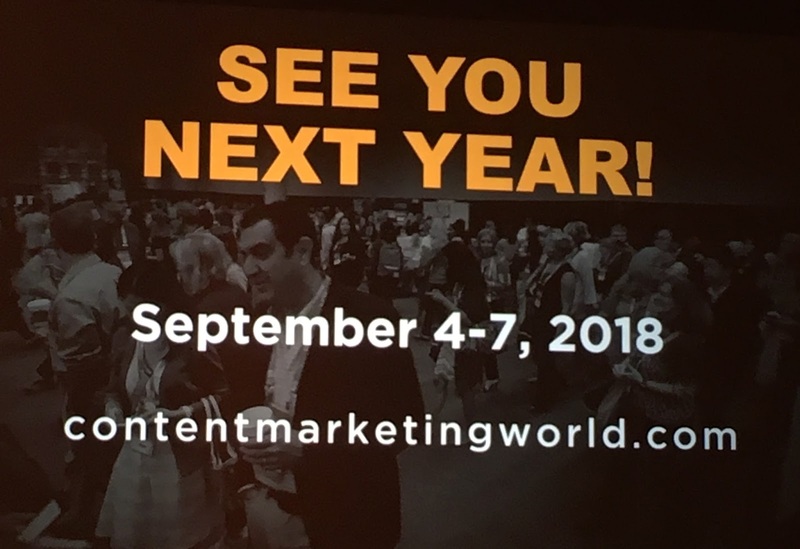 Content marketing offers opportunities to go against many of the conventions (although, people are starting to recognize the conventions in content marketing too). Instead of hiding your weaknesses, openly share the areas where your product falls short. This practice builds trust with your customers. It surprises and delights while signaling your confidence in the areas where you excel. While data is always important in marketing, you also need to know when to follow your gut. Kessler gave the example of SEOMoz’s Whiteboard Friday. The data said to kill it for three years. But, they knew they were on to something that would resonate with their viewers. B2B marketing copy has always been stiff and formal. But, marketers are realizing that even in B2B, they’re still talking to humans. So, the new voice is much more conversational and personal. Be Writers First. Marketers Second. Ann Handley discussed how content needs to be created and written based on customer needs. It should never start out as something that we create for the sake of creating. 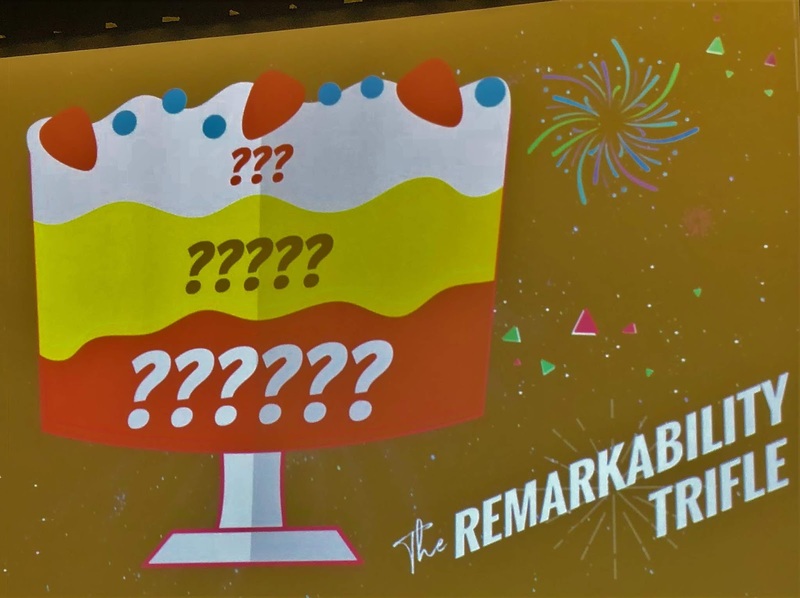 What are customers asking and how can we use content to answer it? Instead of rushing to get a ton of content out there, we need to slow down. Less content that offers more value is better than more average content. Quality is better than quantity. Above all, make sure that you’re proud of the work you publish. If you wouldn't want to read it, would anyone else? Only a third of marketers say their content is effective. That means that the rest are failing…and acknowledge it. 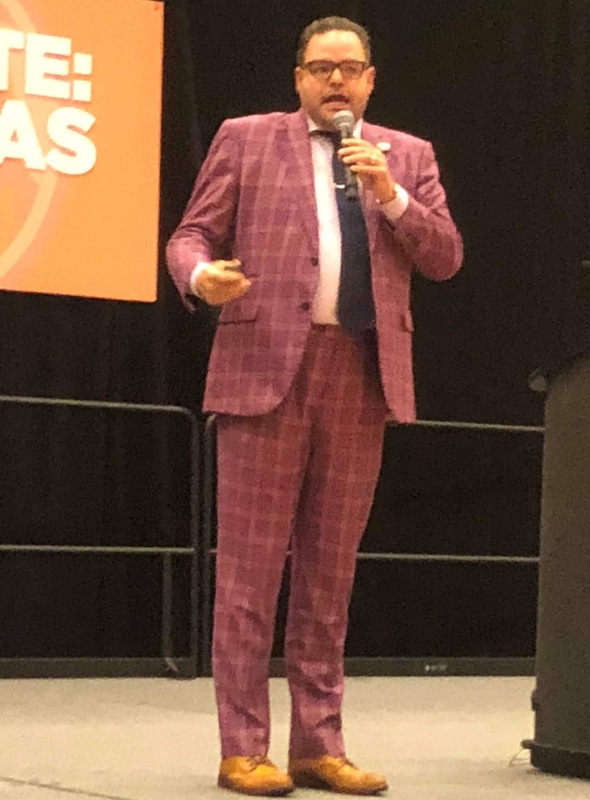 According to Jay Baer, content fails when it’s not relevant enough to trade time for the information. Furthermore, those that say they’re too busy to read your content are really saying that it’s simply not relevant enough. Content Topics: Understand who your personas are, where they are in the sales funnel, and what questions you need to answer to get them to the next stage. You can do this by talking to your customers or the departments in your company that talks to the customers. You can also mine your analytics, social media comments and search data. Content Format: Think like a TV network. Create a content strategy by building a calendar of consistent, thematic “shows.” This helps to condition your audience to know when to expect new content. Content Messenger: We tend to trust people more than brands. Mark Schaefer touched on this notion in his session as well. 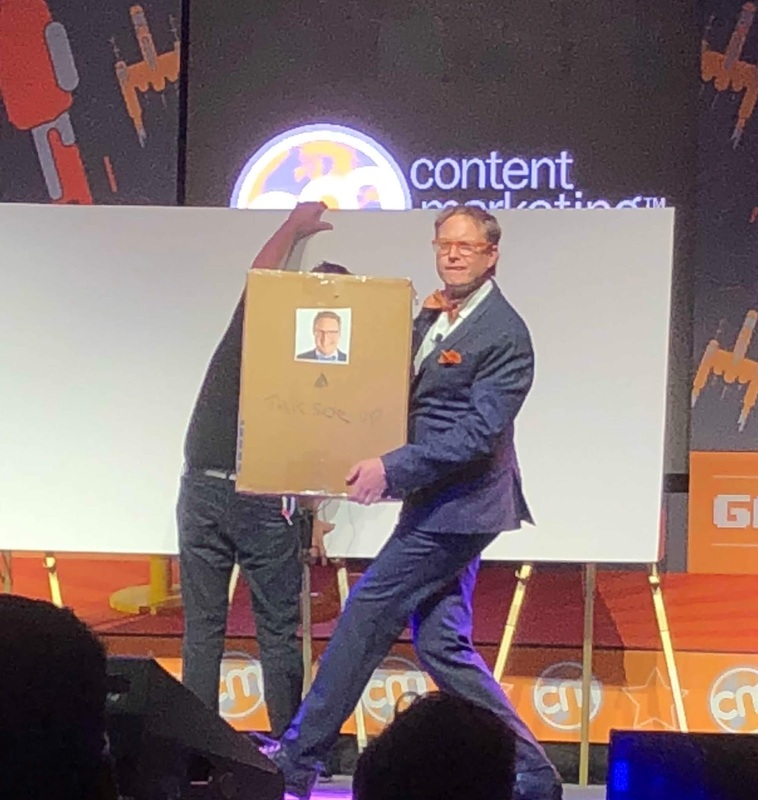 He mentioned a movement towards people caring about products not because of a brand, but because of the “hands that made them.” If your brand created your content, be sure to put a person in front of it. In the music industry, new music comes out all the time. Bands have to attract attention, build their audience and get them to spend money if they’re going to make. 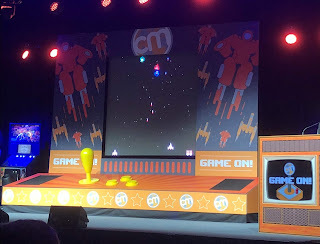 We’re in the same battle in content marketing. Following the advice above will help your content stand out. And, when you build your audience through remarkable content, they’ll look forward to the content you produce. They might even be as excited as I was to get the new Foo Fighters CD! Thanks for reading. If you like this post, please share it!